These observations by the founder of the SPEICK products, Walter Rau, sound like an analysis of current environmental issues – but they were written in 1958 by the far-sighted founder. In 1928, anthroposophist Walter Rau established the 'WALTER RAU Fine Soap Works' near Stuttgart, Germany, a move which was considered quite a gamble in the midst of a crisis-shaken economy. Coming from a soap making family business, Rau was set on continuing the soap-making tradition of his parents, but he dreamed of manufacturing more than just the soap that was popular for washing clothes in those days. Rau wanted to produce a gentle, natural soap for body care.This idea was teamed with a special fascination – Rau was passionate about the uniquely harmonising medicinal properties of the Speick plant, (Lat. Valeriana celtica), which had been prized for centuries. It became his vision to harness the benefits of this almost forgotten plant. From this idea and fascination emerged a unique product: Speick soap. This natural, extra-mild soap was a cosmetic revolution – for body care, as opposed to washing. Rau also wanted the holistic philosophy behind his products to shape the whole company. Employees received further training during 'factory hours', working mothers were offered company childcare and local recreational facilities were developed for factory employees. 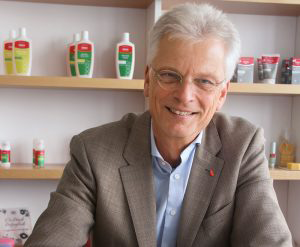 Walter Rau’s grandson Wikhart Teuffel, now runs the company with the same goals; to develop natural cosmetics that nourish and care for the health, vitality and natural beauty of every person. "Accounta bility for our actions is our company maxim. We have been living the principle of sustainability in all its facets for 90 years. Sustainability is our highest priority and forms the central focus of our daily activities." Raw materials from biologically regulated cultivation are used whenever the quality and quantity is available. Natural fragrances, essential oils and only natural preservatives are allowed. The products are not tested on animals. A high percentage of products carry the COSMOS seal for certified natural cosmetics and have been awarded ratings by the German magazine ÖKO-Test. One of the key business objectives is to protect life-supporting elements such as earth, air, water and light and to use them as carefully and sustainably as possible. The partnership between the company, the Speick alpine farmers and the Nock Mountains National Park shows how these values can be realised in a practical manner. 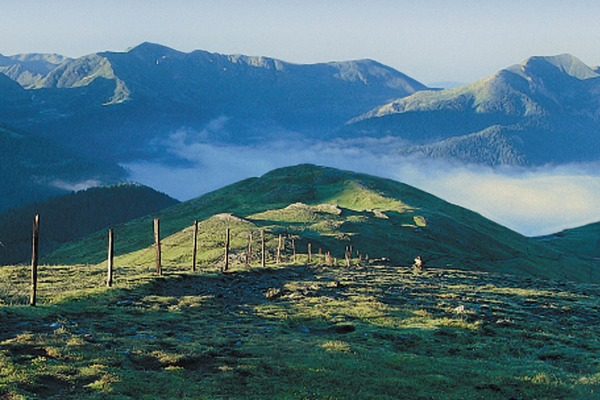 Employees of SPEICK who have visited the alpine farmers that harvest the Speick plant, left with an awareness of the finite nature of natural resources, as in the alpine ecosystem of the Carinthian Nock Mountains, and how 'being human' is inextricably linked to the natural universe. Energy, emissions and waste are managed in a responsible, sustainable manner in line with current progress. SPEICK pays equal attention to the matter of preserving raw material resources. Social engagement is very important and is a focal point of the business. 'Being seen as a person; being given the opportunity to grow and to learn' is an important part of employee development. Every person is treated as an individual and is fundamental to the work process. The works community takes care of the well-being and safety of each individual. SPEICK place great value on fair trade and regionality and aim to work principally with partners from the region to avoid long transport distances, as well as to strengthen the local economy. SPEICK natural cosmetics is the first, and as yet the only, cosmetic brand to receive the German Sustainability Award (2013). The company also received the CSR Award of the German Federal Government (2014). This made it the fourth year in a row being considered for an award which recognises outstanding commitment in matters of sustainability. The accolades reflect that responsible corporate governance is a highest priority at SPEICK natural cosmetics and is the basis of every decision, on both a small and a large scale.